The startup culture in Pakistan is still in its nascent stage. New startups are popping up every day, some of whom are doing brilliant work, and it will be one of them that will clinch the title of Pakistan’s first unicorn. Till then the most important thing that our startup incubators, accelerators, and mentors can do is provide our entrepreneurs with the right direction that can help drive innovation and bring forth creative solutions to our most pressing problems. This is where social entrepreneurship plays an important role. There are numerous social startups that are currently functional in Pakistan, including the likes of SehatYab, EcoEnergy, and WonderTree. Pakistan’s steadily developing social enterprise scene now has an interesting key player – Ufone. The telco has, in recent years, taken bold steps to support local initiatives that are aiming to drive a social change. 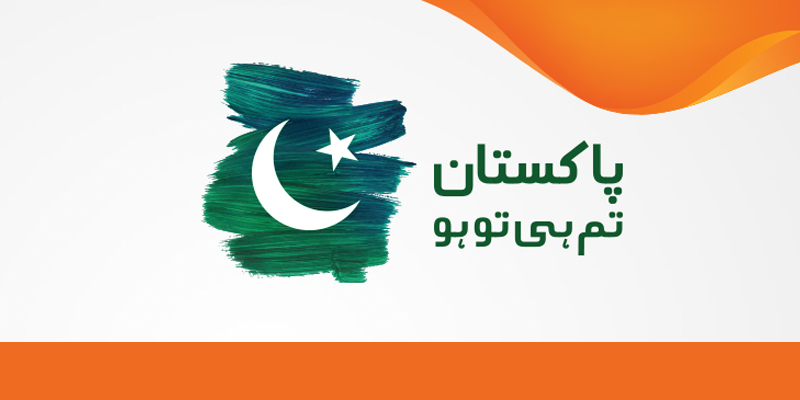 Via Ufone’s commendable moves the work of these social initiatives was highlighted and brought to notice of the Pakistani masses. Here is a look at the brilliant work these social ventures are doing. Khana Ghar, as the name indicates, is a food-related venture. Started by Ms. Parveen Saeed over a decade ago, Khana Ghar is a completely humanitarian effort to feed the underprivileged people of our society. Poverty is extremely prevalent in Pakistan leading countless people to strive for just a single meal a day. Ufone took a stand on providing food for the poor when last year it highlighted the brilliant work being done by Khana Ghar. Khana Ghar is targeted towards these people and provides them with food everyday for just Rs. 3. The organization is run by a team of volunteers who share Ms. Parveen’s humanitarian vision. Together they serve over 1,500 people every day in 5 locations in Karachi including Ajmer Nagri, Khuda Ki Basti, Korangi, Lyari, and Nooruddin Goth. Operation Eid Child is a non-profit venture started by Sharmine Aziz, who got the idea when she saw a friend’s post about packing gift’s for children on Christmas. That is when she got the brilliant idea to pack gifts for underprivileged children. Her organization works in a very simple manner. People are encouraged to wrap gifts with their own hands and then pass them on to the Operation Eid Child team for distribution to needy children. This venture promotes simplicity. People are encouraged to giveaway stuff they have at home but don’t use anymore and if they want they can giveaway newly bought things as well. To-date Operation Eid Child has distributed thousands of packages to underprivileged children across Pakistan. Wall of Kindness, an initiative by Wadaan, is driven by a very simple goal – to provide the less-privileged with food, clothes, and other important items of daily usage. However, this non-profit venture has adopted an interesting approach to making that happen. People that interested in making a donation just have to place items – clothes, shoes, food – at the Wall of Kindness, to be collected by the one who needs it. This way the Wall of Kindness keeps the dignity of the needy people intact so that they don’t have to beg and can just grab things they need from the Wall of Kindness. Footpath School is all about providing underprivileged children with basic education. The children that attend the footpath school belong to extremely poor families and are mainly involved in street labor. Last Ramzan, Ufone chose to focus on the socio-economic uplifting of society and Footpath School was just one of the several initiatives they highlighted. Footpath School teaches children ranging from the ages of 5 – 17 and devotes about 12 hours a day to educational activities. It currently has 7 branches, 4 of which are in Interior Sindh and the rest are inside Karachi. Over 1,500 children are getting educated at these schools, out of whom 250 are located in a remote area of Sindh. All the children at these schools are being taught in a manner so that they can become self-sufficient and also teach other children. Rizq was started in April 2015, by Huzaifa Ahmed, Musa Amir, and Qasim Javed, who wanted to channelize excess food to the underprivileged who cannot afford daily meals. The three friends put their entrepreneurial skills to use and thought of a way to build a bridge between surplus food at restaurants, weddings, and households, that is usually thrown away, and give it to families living in slums of Lahore. Rizq has two primary objectives, to decrease food wastage that is rampant in our society and to feed under-nourished people particularly children. The Rizq team first identifies an area within Lahore, usually slums and villages, and maps the community. The food drives are advertised on Rizq’s official Facebook page and website encouraging people to contact them if they have any extra or leftover food items from parties or otherwise to donate. Once people show interest in donating food, it is then collected from them, neatly packaged by the Rizq team, and then distributed to the mapped slums and villages. There are numerous social enterprises working quietly in Pakistan, striving to leave a lasting impact. Ufone’s bold initiative to support these small ventures speaks volumes of how aware it is of its social responsibility as a large telecom company. This story has been done in collaboration with Ufone.